Business loans remain the most common method of funding for most organizations. During the U.S. economic collapse, banks began putting limitations on their business lending. As a result, other types of business funding options began to appear. Internet bank loans started enabling businesses to have additional options for funding their operations such as a business line of credit. 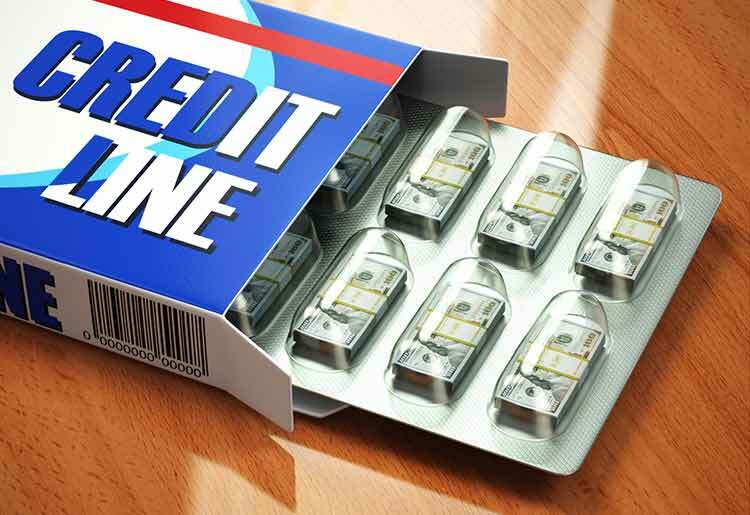 A business line of credit is a different type of loan with. It’s a revolving account that works similar to a credit card. With a regular business loan, you borrow a specific amount of money. The bank charges interest on the total amount of the loan, and you make monthly payments for a period of time until the loan is paid off. Once you use all of the loan funds, no more money is available. You would need to apply for a new business loan if your business needs additional funds. With a business line of credit, the bank approves you for a specific amount. But unlike with a traditional loan, you only withdraw funds when they are needed. The bank only charges interest when funds are withdrawn. Each financial institution has its own terms for how borrowers pay back the withdrawn funds, but it’s normally a monthly payment amount. As the funds are paid back, they are added back to the available amount in the line of credit. The amount is only reduced when funds are withdrawn. Keep in mind that there are many business line of credit providers worth comparing. Make sure to do your research before taking out a line of credit. Paying back funds that were withdrawn—and paying them back in a timely manner—establishes a good standing with the lender. Once the business has developed a good record with making timely payments, the lender will be more willing to approve a business’s request to increase its line of credit. The longer a business has been in operation, the more comfortable lending institutions are with providing a line of credit to a business. This also is a benefit when the business requests an increase in the credit limit for their line of credit. Financial institutions require businesses to have a certain amount of annual or monthly revenue in order to be approved for a business line of credit. The more revenue a company brings in, the higher the credit limit will be. Any increases in annual or monthly revenue will allow the business to request an increase in the credit limit. As a business grows and obtains new customers, it will also have an increase in its accounts receivable. This is especially true for businesses that invoice their customers. Most likely, with the increase in customers, more services or products are being provided. There are costs associated with bringing in these increased sales. Therefore, the business may need additional funds to cover the increased sales costs. This is another way a business can secure an increase in its business line of credit. When a business first applies for a business line of credit, the lender most likely will require some collateral to secure the line. If a business acquires more assets or investments that can be used as collateral, this will make it easier for the business to obtain an increase in its credit limit. Sometimes a business will need to hire additional employees, perhaps to offer additional products and services. A business may want to open an additional location or move to another location. As the need or desire to expand the business arises, additional funding will be needed. Winning a government contract is a definite way for a business—especially a small business—to grow. After a business wins a government contract, it needs immediate working capital to cover employee payroll and any other expenses associated with performing the work for the contract. Sometimes, it can take the government 60 to 90 days to submit payments to a business. Financial institutions will normally lend a business more if the business provides them with proof of winning the contract. The business can get an increase in its line of credit limit with this proof. The lender is assured that the government will make payments to the business. Before applying for a business line of credit, do your research to find out what each lender requires. The better your business conditions, the more likely your business will be approved for a business line of credit. Since most lenders are requiring personal guarantees for loans, the responsible party taking out the loan should have good credit with no negative activities such as foreclosure or bankruptcy. If you want more resources and information about business loans, check out our reviews of some of the top business loan providers.